First, what is lefse? It's the Scandinavian specialty bread, a round, soft unleavened bread, thin like a French crepe, round like a tortilla, soft like a Swedish pancake. It has the same shape (round) and leavening (no yeast) as what the Indians call chapati or kulcha or roti, the Italians call piadina, the Greeks call pita, the Armenians call lavash and Americans call, well, pancakes. (A fascinating list, this!) And lefse fits on A Veggie Venture, where all recipes start with a vegetables, because lefse dough is made with potatoes! LeAnne Kruger is a lefse-maker extraordinaire – and lucky her, married to Kim Kruger, a great guy and a much welcome addition to the family. (Did I not yet say? LeAnne and I are cousins! We grew up in Minnesota going to church lefse suppers every Christmas.) 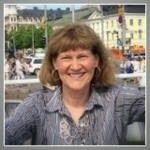 Professionally, Kim is a long-time story-teller, television producer and photographer. And aiii, his photography! Check out Kim's work on Winsome Spirit Imagery and Fine Art America. But back to video! Is anyone here a fan of Bath Crashers on television's DIY Network? Kim's the producer! Awhile back, Kim and his best friend and fellow producer James Massey spent a weekend helping LeAnne document how she makes the most tender, flavorful lefse. It's LeAnne's video debut but I think you'll agree, the camera loves her! She is a natural! A CHALLENGE FOR THE NEW YEAR Lefse is traditional at Christmas and watching LeAnne make lefse will definitely add to the Christmas spirit. 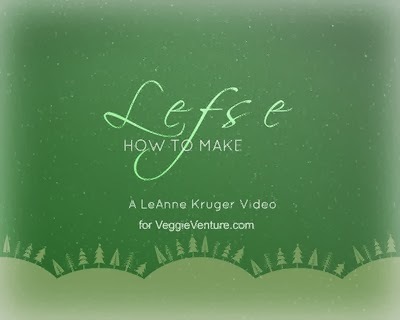 But I've given much thought to this question: Why did LeAnne, Kim and James go to so much effort to produce this beautiful video about making lefse? Here's why. Many of our traditional foods are being lost, in part because even those who cook are so widely exposed – through our friends, through restaurants, through the internet – to the globe-wide food traditions unrelated to our own heritage. We can take on so many challenges but we don't always stop to get good at any one of them. Personally, I've made Scandinavian lefse (I was terrible, it takes practice!) but I've also tackled Korean kimchi (disaster) and Mexican mole (good) and an entire Alsatian meal (excellent!). So here's the challenge for the New Year. Is there a special food in your family that's at risk of being lost? If you know how to make it, make this your year to teach someone else, to pass it on, like this grandmother teaches her grandchildren how to make Homemade Swedish Potato Sausage, documented in my photo essay. If you don't know how to make a special family food, find someone who does, your mom, an aunt, even a cousin. Learn how, get good. And then pass it on. ACCEPTING MY OWN CHALLENGE My personal challenge for 2015 is peroghies. I've been writing my food column Kitchen Parade since 2002, writing nigh-on 500 columns. Yet I still haven't shared my Canadian family's recipe for peroghies. That's my challenge. You, what's yours? So without further adieu, welcome, LeAnne! 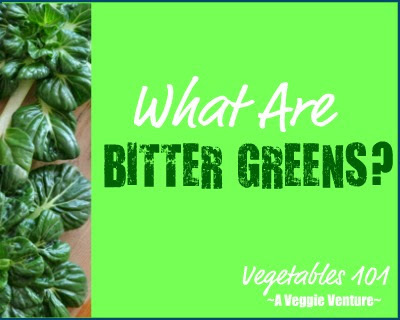 This A Veggie Venture's first video so if anyone has viewing issues, please let me know. If you love it, let LeAnne know, she and I would both so love to hear from you in the comments! Five pounds of potatoes yields about 10 cups of riced potatoes. It's easier to work with smaller volumes of lefse dough so LeAnne makes two batches of lefse dough plus another half batch. This uses up all 10 cups of riced potatoes. COOK THE POTATOES Wash and peel the potatoes, removing any dark spots and eyes. Cut into small chunks (small enough to later fit easily into the potato ricer) and place in a large kettle. Cover with unsalted water. Bring to a boil on medium high, then cook until done, about 15 minutes. The potatoes should be "nice and tender". Drain well in a colander for several minutes to remove excess water. SET UP STATIONS While the potatoes cook, cover the ridged rolling pin with its cloth cover. Set up three stations, a "rolling station" with the lefse board, the rolling pin and a lefse stick; a "cooking station" with the lefse griddle; and a "cooling station" with a lefse cozy for stacking the just-cooked lefse. "RICE" THE POTATOES TWICE In batches, press the potato chunks through the potato ricer into a bowl (be sure not to pack the chunks into the ricer, just leave them loose). Run the riced potatoes through the ricer a second time, the potatoes will be easier to rice the second time. MIX LEFSE DOUGH Measure 4 cups of riced potatoes, lightly not tightly packing when measuring, and move to a mixing bowl. Add the butter, cream, salt and sugar to the potatoes, stir well with a spoon. When well mixed, blend in the flour. The dough will be a bit sticky, don’t handle it too much, don't be tempted to add more flour. AT THE ROLLING STATION Cover the lefse board and the ridged rolling pin with their respective cloth covers. Vigorously rub plenty of flour into the two covers. Place a pile of extra flour on the side of the lefse board. Gently roll about 2 tablespoons of dough into a ball and roll the ball in flour. With your palms, gently pat the ball onto the lefse board, flattening it a little and coating both sides with flour. Dust the flattened ball with more flour, top and bottom. With three or four gentle, even strokes with the rolling pin, roll the lefse dough into a slightly larger round. Turn the dough over (do not turn the dough more than once) and continue rolling, keeping the shape as round as you can. As you roll, lift the rolling pin slightly on the outer edges, this prevents the outer edges from becoming too thin which would become crispy when cooked. Lefse is not crispy! AT THE COOKING STATION Set the lefse griddle at 400F. Slide the lefse stick under the lefse dough in the center. Gently lift the dough over onto the griddle, putting half on first, using the lefse stick to unroll the other half. Bake the first side until the bottom begins to brown a little and the top forms a few bubbles in the center. Use the lefse stick to gently flip the lefse over to repeat on the second side. AT THE COOLING STATION With the lefse stick, lift the hot lefse off the griddle onto a lefse cozy to cool and cover with the cozy to prevent drying. REPEAT, repeat, repeat! Lefse is a both a skill and an art, you'll get better with each batch, with each lefse. FINALLY, THE EATING STATION It's easy to be good at eating lefse! :-) Spread soft butter on the lefse, either warm or at room temperature, sprinkle with sugar or brown sugar, a little cinnamon if you like, even a thin layer of lingonberry jam. Roll into a cigar shape, enjoy! Always use russet potatoes, the mealy flesh is drier. Russet potatoes are the rough-skinned baking potatoes, often called Idaho potatoes. Ricing the potatoes twice is what makes the lefse extra tender. You don't want to use leftover mashed potatoes for lefse. Lightly pack the riced potatoes to measure the four cups. Use just one cup of flour in the dough, even if the dough seems a little sticky when mixing. Lots more flour will be added during the rolling process. You may need to increase the temperature of the lefse griddle after awhile, it seems to have trouble keeping the temperature after a dozen or so. My grandmother was born in Norway. She dragged out the lefse griddle every year but we weren’t allowed to help. I like the challenge, will try to find someone to teach me. I’d like to teach my grandchildren. I am ashamed of myself. Your cousin is wonderful. I don’t have time today to watch past the ricing step. Will watch it tomorrow. But. I made lefse — even at the Smithsonian Christmas event and the Smithsonian Biccentennial Folk Festival, using ------ Hungry Jack Instant Mashed Potatoes!!! The recipe was developed at Crookston in the ‘70s. That made it legit to me. Oh, the shame of it……. PS We’ve even ordered Mrs. Olson’s lefse from Gonvick and enjoyed it! Today I decided to make lefse...had the potatoes cooling while I checked my email and found your video. Thank you for reminding me to be proud of my Norwegian descent. My grandma was from Norway and my grandpa from Minnesota. Grandma passed on her lefse griddle to me along with the hand-carved roller my grandpa had made her decades ago. Very nice video - I will be e-mailing it to my friend who was just telling me that she and her daughters were about to embark on a lefse making project. My traditional food is aebleskiver - a Danish dish. I make it on holidays and need to teach my daughter how next. Anonymous ~ Thank you, thank you! Brenda ~ Oh my WHAT timing! Your note brought tears to my eyes, thank you for taking the time to write. May today’s lefse be especially inspired! Nancy ~ Thank you! And your challenge is accepted, make that THREE of us! :-) We have an aebleskiver pan -- a Christmas gift last year. We’ve taken to calling them “apple sky divers” -- after an iPhone auto-correct thingie and which the five-year old twins find most amusing when their grandpa puts hot ones onto their plates for breakfast! Beautifully done, LeAnne is a very natural teacher which just shines thru. Video is so well done also, congratulations to all involved. Even tthough I grew up in a very Scandinavian small northeastern MN town, we weren't and so this wasn't part of my upbringing. I have eaten it and prefer it hot with butter and brown sugar. Thanks for the reminder, I may have to purchase some. I’ve never heard of lefse but now crave it. Maybe LeAnn will invite us all over? Adele ~ She is such a natural, isn’t she?! Thank you for your kind words, they mean the world. Was your small town a Finnish town? There are so many in that part of Minnesota, many were miners on the Iron Range. And lefse isn’t at all Finnish. Anonymous ~ Y’know, I think she would! She and Kim are that kind of good people! Alanna and LeAnne, thank you! I'm sharing my mom's lefse recipe next week, and while it is slightly different (as she said above, Hungry Jack) I love how well the video captures LeAnne's graceful movements. I thought it would be a cool thing to have a top down view for the whole afternoon, showing the progression from mixing to rolling to cooking to cooling. Kir ~ You’re so welcome! If I’d only known, we could have done a joint thingie, that would have been fun. But I’ll link to your Hungry Jack version when it goes live. And it’s so cool for your mom that she’s passed on her lefse-making things to you, I hope you’ll tell their stories which she shared with me via email today. Not on the range, on the shore, out of Grand Marais, very mixed group, with 3 Irish families thrown in for good measure, and then we got CCC's who stayed and married local girls, and teachers who came and married local guys. My dad was Coast Guard and Dutch, oy, I'm such a mix. Adele ~ Aiii, Grand Marais is so beautiful! We spent my birthday there last year, set up a blanket along the lake with smoked whitefish, bread, fruit and cheese, twas a total feast, even if we were eventually rained back into the Jeep. :-))) We’ve talked about taking the kids/grandkids back for a family week some time. PS Coast Guard and Dutch, that’s the belly laugh of the day! Your food heritage challenge is such a wonderful idea. Maybe I will tackle my Mom's lasagna! The lefse sound delicious- thanks for introducing me to them. Thank you for the video! I have made lefse once or twice. I had to teach myself, so I could satisfy my cravings/homesickness after moving away from my South Dakota hometown. I used my electric pancake griddle and spatulas. I enjoyed watching the lefse stick in use. I need to add one to my wish list. Maggie ~ So glad you’re joining the challenge, here’s to fun times learning from your mom, I bet she’ll be totally thrilled. Nicole ~ You’re welcome! And good for you, teaching yourself. And .... just this morning, I wondered about using a non-stick pancake griddle for lefse, it’s not “round” like a lefse griddle but that’s no problem. Still, I’m curious, do you manage to cover it with a cloth or just use the bare surface??? I just might make lefse today if the bare surface can be used! Or hmmm ... just a towel cut to fit, somehow? It could be used again and again. My mother had a lefse griddle, that she mostly used for pancakes :-) Years ago, lefse was just made on a stovetop, probably a cast iron one. There isn't any reason you couldn't use a pancake griddle or even an electric skillet. Just adjust the size/shape of your lefse to fit whatever you are cooking it on. Truly enjoyed this.I cook all sorts of things and sometimes wonder why I bother to spread myself so thin -- I make some things just because I can, not because I can do them well. Interestingly, kimchi is one of those things I keep meaning to do, but always find convenient reasons to delay. I wonder if there's a reason for that? ;-) And maybe your disaster is my warning? Anyway, loved this post -- good job. And thank you. I had great fun watching this video. The music was sorta "nostalgic..y" and added a great touch. No Scandinavians in my family but I want to try this recipe. Love your blog. Thank you for all the great recipes and content. Nicole ~ Any way I can help with Santa? I’m happy to send hints! Kitchen Riffs ~ Thanks! My goal this year (and next) is to focus on a few things and to do them really well, to really “own” them. Sissy ~ Thanks! I thought the music was just perfect too, it really gives a sense of the season, doesn’t it?! Good luck with your springerles today! PS Thank you so much for the kind words about A Veggie Venture, it means the world! Interesting, and requiring several specialty cooking items, BUT ... not TOO daunting. I WILL try it but will hold that thought till I am back stateside and can obtain those items ... lovely video ... lovely presenter... THANKS! Gracias! Patricia ~ Thanks for the kind words. Maybe it’s not “lefse” for you, but surely there’s something in your own tradition to take on the food heritage challenge? !